If you still haven’t visited the Cathedral of Siena in Milano, an amazing work of art awaits to dazzle you. Siena’s Duomo welcomes you with a stunning mosaic marble floor pavement that took centuries to complete. 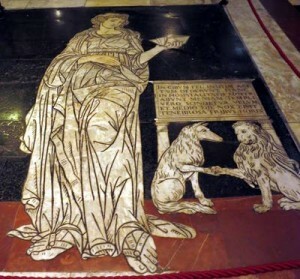 Created by 40 artists between 1369 and 1547, the unique pavement is made up of 56 panels depicting Biblical stories, historical events, and allegorical scenes. Many techniques were used to complete this work of art, varying from graffito to commesso marmoreo. It is worth mentioning that the floor pavements inside Siena's duomo are protected with carpets most of the year, but if you’re lucky enough, you can get to witness the beauty unveiled during your next visit!